I saw this speed challenge in the morning before work. Darn, no time to think about it. A very busy day. I found myself obsessing with trying to come up with an idea. April Fools is supposed to be stupid and immature! I used the bloody hands in a recent challenge (that didn�t do so well) so I scrapped that idea. Thankfully I have Phyllis at my office who has a wonderful sense of humor and is always willing to help out. 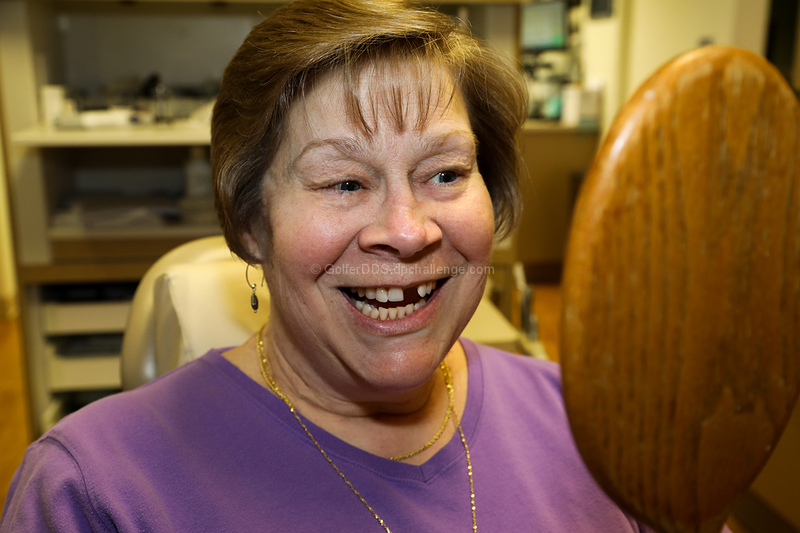 She has been in several other of my �bad dental humor� shots over the years. I took some pictures with no idea what I was going to do with them. Played around with them in photoshop at night after work. I finally gave up and decided to go with simple and just cloned out a tooth and titled it with every patient�s (and dentists) worse nightmare and hoped for the best. not everyone looks this good, or joyful, missing a front tooth. Proudly hosted by Sargasso Networks. Current Server Time: 04/24/2019 12:34:24 PM EDT.